This list is not, nor intended to a complete resource for all condo's and pud's in the area, please contact me with questions. 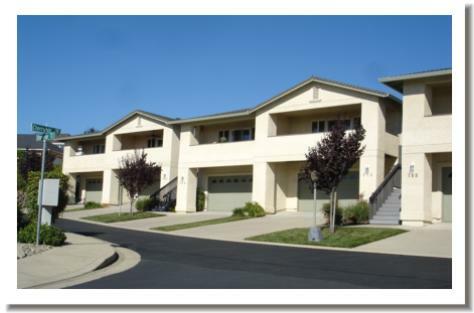 The condominium neighborhoods featured below show what is available in Redding. Condos are a great lifestyle choice for many who seek a simplified living arrangements without the burden of yard work. Others who travel regularly or are looking for a part-time homes find this to be a more restful choice with few or no outdoor responsibilities. 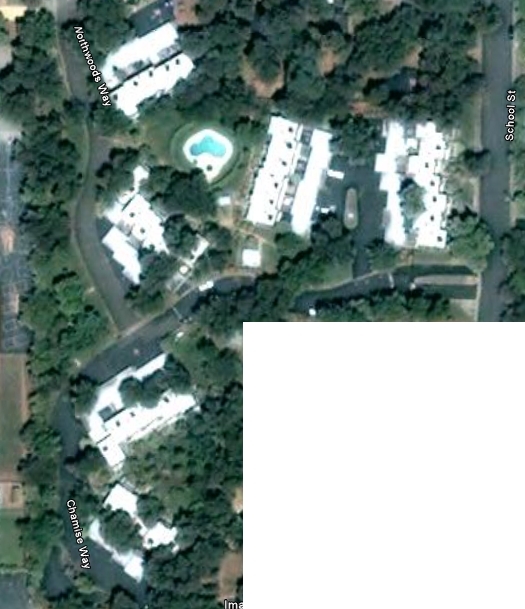 The Ridgecrest condominium complex is located at the north or upper portion of Hilltop Drive on Ridgetop Drive. in the mid 1980's and early 1990's. Some have spectacular views of Redding and the Sacramento River.
. This 85 unit complex is located on the north end of Bechelli Lane. 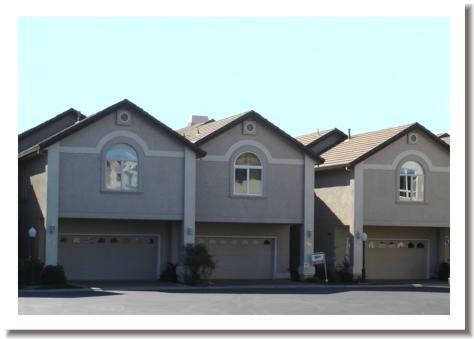 Many of these homes are two story "Townhouse Style" and have attached garages, a few others are single story. The west facing units have spectacular views of Redding, these photos were taken at ground level from the back of one of these homes. This complex is a PUD complex although easily mistaken for condos. Individual owners own the buildings while the association maintains them. As with the other condo complexes I would like to give you access directly to these, unfortunately they are located on Bechelli Lane which is very long and I am unable to sort by specific addresses in this system. I can however on another system available to me, give me a call. Maintenance of the common areas including pool, spa, tennis court, landscaping, streets, vehicle storage etc. Insurance is also a part of the expense for the buildings and liabilities of the association. Homeowners Insurance - The condo association maintains a blanket hazard policy for the replacement of the structure. The individual homeowners need to carry a insurance policy called a " HO-6". It will cover your personal contents, liabilities and any "betterments and improvements" (upgrades) to the structure. Interested? Contact Eric Lewis (530-227-7722) for all your Redding Real Estate needs. River Heights complex is located at the north or upper portion of Hilltop Drive off Riverbend Road. The complex is easily mistaken as a condo development is actually two PUD complexes. 53 homes in total with 37 units on the southern portion which is River Heights, while the northern portion is called Riverbend and consists of 16 units. 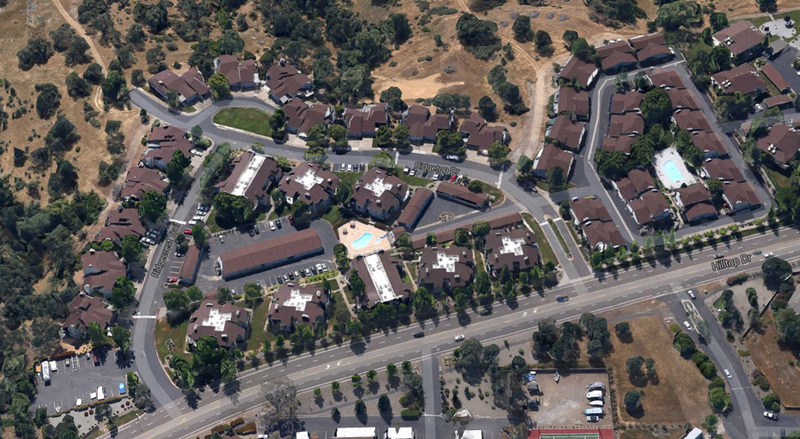 These 37 units were built in two independent phases developed over the years, built in the early to mid 1990's. 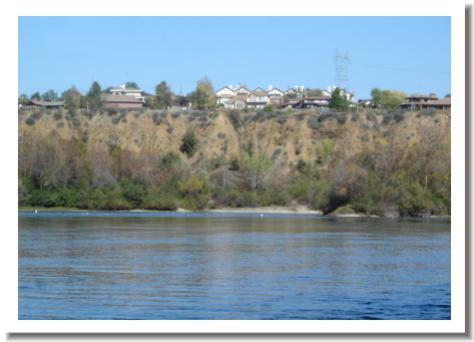 The southern most two story homes have spectacular views of Redding and the Sacramento River. All units have attached garages. 22 of these homes are single story. 15 of these homes are two story. There is a swimming pool with restroom facilities, RV parking area, and common landscaped areas. Monthly fees: Approximately $295 per month which includes garbage collection and water. Riverbend: Looks to be part of River Heights but is a separate complex. The picture on the left the riverbend portion is at the top. It has it's own Riverbend Association which includes 16 units on Stonebrier Trail. These homes are not a part of the River Heights complex and do not have a pool or RV parking area. They are a combination of one and two story homes. The picture on the bottom left (above) is a sample of the two story units. They were built between 2000-2005. Last account had the dues at under $210 per month - - - managed by prof. prop management. Maintenance of the common areas including pool, landscaping, streets, vehicle storage, etc. Insurance is also a part of the expense for the buildings and liabilities of the association. 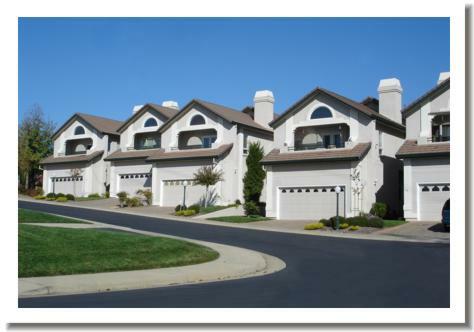 Homeowners Insurance - The condo association maintains a blanket hazard policy for the replacement of the structures. The individual homeowners need to carry a insurance policy called a " HO-6". It will cover your personal contents, liabilities and any "betterments and improvements" (upgrades) to the structure. Located just north of the Mount Shasta Mall and the major shopping area in Redding off Churn Creek and Canby Rd. Phase 1: This phase includes 34 units. The fees cover just the common areas are approximatley $145 per month. A Clubhouse is a part of this phase, while the RV parking from phase 2 is available with approval. Phase 2: This phase includes 54 units. A RV parking area is a part of this phase, while the Clubhouse from phase 1 is available with approval. Maintenance of the common areas including pool, spa, tennis court, landscaping, streets, vehicle storage, etc. Insurance is also a part of the expense for the buildings and liabilities of the association. Location: Eastside of Redding CA. Two story townhouse style with attached garages. 2 bed - 2.5 bath with 2 car garage, 1620 square feet. 3 bed - 2.5 bath with 1 car garage, 1840 Square feet. This page is a work in progress, more will be added. Hartnell Ave just to the west of Churn Creek Road is Northwoods Drive, adjacent to Rother School. addresses on Mid Drive Trail. Next door is the new Tuscany Villas, a planned unit development currently under construction. 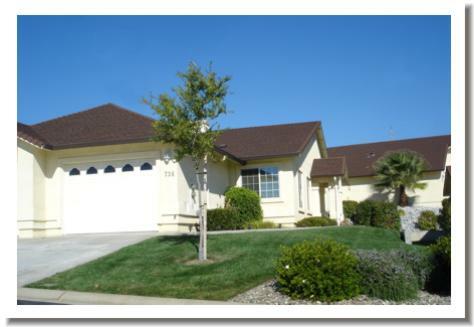 View a complete run down of The Vineyard in Redding and other Redding Gated Communities as well. 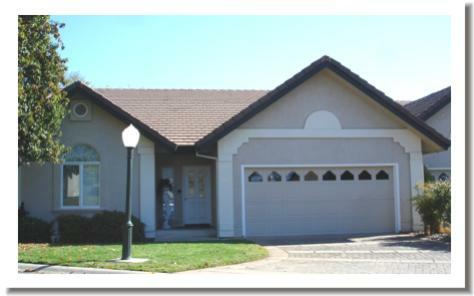 The most desirable 55 and over community in Redding. Gated with walking trails, lakes, and fountains. Single family, clubhouse , Gated comm. $80 mo. - 202 homes, - 2 rv lots, common areas. 10 foot ceilings, gated entry, Tuscan theme with stucco exterior and tile roofs. A small group of homes off Hartnell near cypress. 3/2, 1180 built 1992 $70 mo. stucco exterior. A small group of homes near Hilltop Drive and behind the AAA office that includes 18 units built in a townhouse style with 1 car attached garages. Dues are approx $110 per month. Redding Condo's and PUD's what's the difference? A PUD is a Planned Unit Development. These areas have "Fee Title" to the home and also have a homeowners association that has a to a varying degree amenities that are paid for by the entire neighborhood. The area amenities are managed by the association while the individual buildings exteriors are sometimes also maintained by the homeowners association. The association is run by a board of directors with is a group of homeowners elected by the entire neighborhood. Please keep in mind these are generalities. Monthly fees vary wildly based on the the way the complex is set up to maintain the amenities. Some complexes choose to have the same level of maintenance as a classic condo complex which dictates a slightly higher monthly fee that covers more while other PUD's choose to have the homeowners take on more of the maintenance and therefore have lower monthly fees to take care of what then becomes less common area. A couple examples of PUD's: These areas could be for instance like the Tanglewood area where some homes have shared exterior walls and others are free standing. Other PUD's could be similar to The Vineyard where all the homes are free standing form one another while the community has walking trails, lakes, clubhouse, RV storage area and other community features. Then there are some that by every physical clue appear to be condo's but aren't, such as the Bluffs and River Heights. As with condo complexes, the maintenance of the private streets is often but not always a part of the association responsibilities. A classic Condominium complex consists of you owning shares or "air space" which describes your condo within the complex yet not receiving "Fee Title" as is standard for a single family home or PUD. The exterior of the structures are maintained by the association, which is made up of condo owners. Amenities are varied with the typical being streets, a swimming pool, RV parking and landscaped areas. Monthly fees to maintain the amenities vary from complex to complex and are set and managed via the direction of a board of directors for the association. Usually this is a group of condo owners voted into office by the remaining complex's owners in elections.